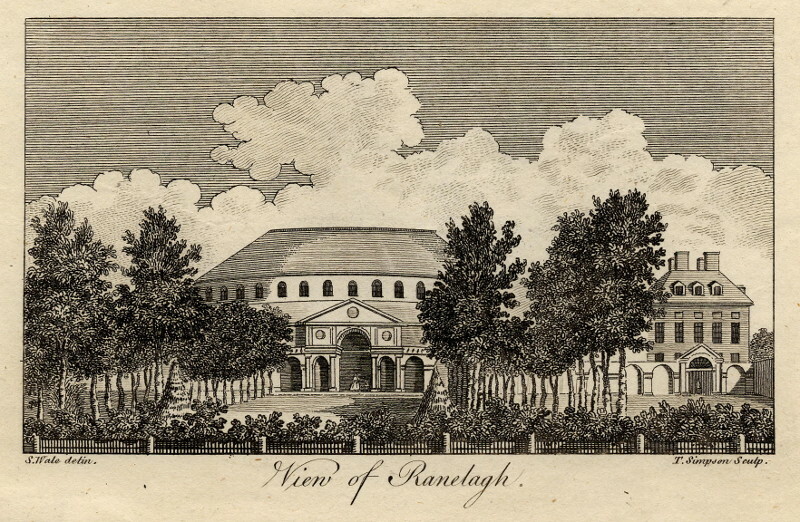 Print of buildings in the former Ranelagh Gardens pleasure garden in Chelsea, London. Copperplate engrvaing from "History ans Survey of London", by Entick. In good condition. Looking for an antique map, historical print or plan? Feel welcome and browse our mapsite atlasandmap.com! We have maps, made by T. Simpson, S. Wale . more maps and pints of England like View of RanelaghPlease contact us if you don't find where you are looking for! We ship worldwide.